Lets bet while you’re reading this you’ve got about nine other tabs open including Facebook and a multiple online “fast fashion” websites with carts full of clothing you don’t need. The term “fast fashion” is thrown around quite a bit these days to refer to the speed at which fashion trends on the catwalk are cheaply mass-produced worldwide. ABC’s new TV docuseries ‘War on Waste’ exposes the environmental footprint Australians are making on the environment through our creation of waste and lack of recycling processes, including through “fast fashion”. Our growing economy means an increase in the use of resources resulting in more waste being produced than ever before, nearly doubling in only 10 years. The Australian Bureau of Statistics found that during 2006-07 nearly half of all waste was disposed into landfill, causing detrimental harm to our health and the future of our beautiful planet. Imagine not being about to wake up in the morning and grab a coffee at your local ocean-side cafe because the tide had risen so high destroying our stunning coastline as a result? “Fast fashion” is one of the reasons we have been dubbed the ‘Waste Generation’. According to the WWF it takes 2,700L of water to make one cotton T-shirt, yet droughts all over the world are affecting our environment and agriculturual industries. Apparantly it takes the average shopaholic 10 minutes to lose their temper in a shopping line. In that same 10 minutes Australians are disposing of over 6,000 kilograms of fashion and texile waste! 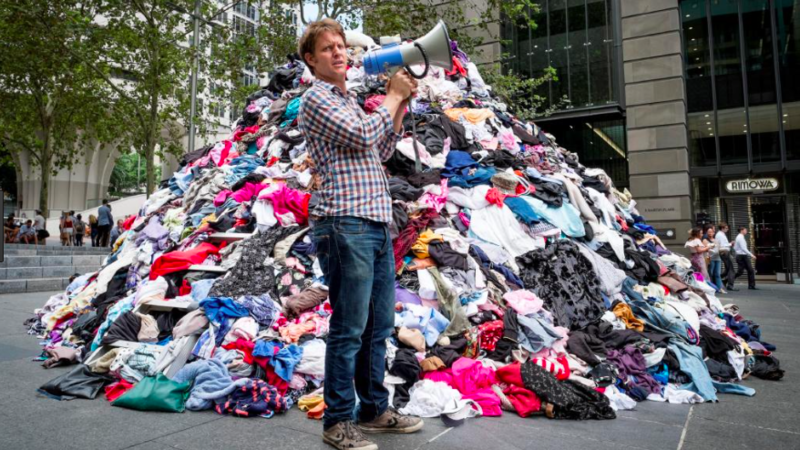 Comedian Craig Reucassel takes us through some of the ways to reduce our textile waste in an episode of ‘War on Waste’. Eco stylist and clothes swapper, Nina Gbor, organises clothes swaps around Australia and says we should get off the “trend-mill” and look for quality in pre-loved garments. “You won’t believe the designer garments I’ve found, tags still attached, for next to nothing! I’ve bought 60s and 70s wedding dresses and turned them into everyday outfits through styling with a casual jumper over the top, waist belt, scarf and accessories,” says Nina. If vintage isn’t your thing we have your answer – The Volte. Designer dress rental is becoming the fastest growing fashion innovation in Australia and world-wide. “Think of The Volte as the AirBNB of fashion,” says Co-CEO Kym Atkins. 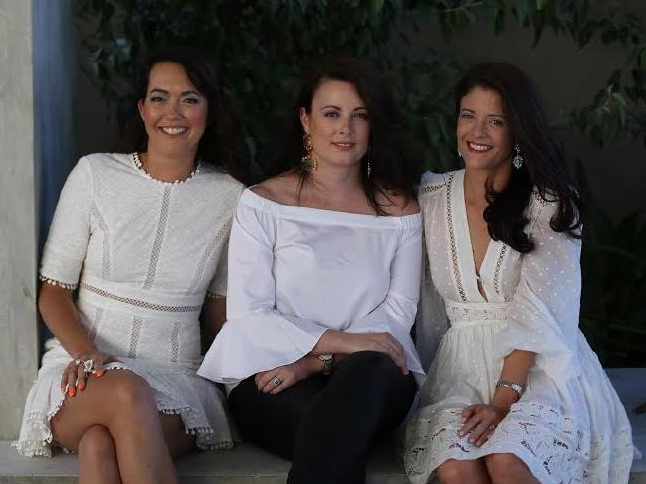 Atkins and two of her savvy fashionista friends, Bernadette Olivier and Genevieve Hohnen from Perth launched the website in January of this year and Aussie women and men are marvelling over this phenomenon. Co-CEO, Bernadette Olivier, says that she wanted to find a way to get use out of her designer wardrobe and not have to outfit repeat at different events (a girl’s worst nightmare). “It’s a great way of making extra money with no risk,” Bernadette talks of the secure lender function on the website allowing users to rent out their own designer dresses or suits. Despite the money, time and effort saving features The Volte has to offer, the website does a lot more than what meets the eye. 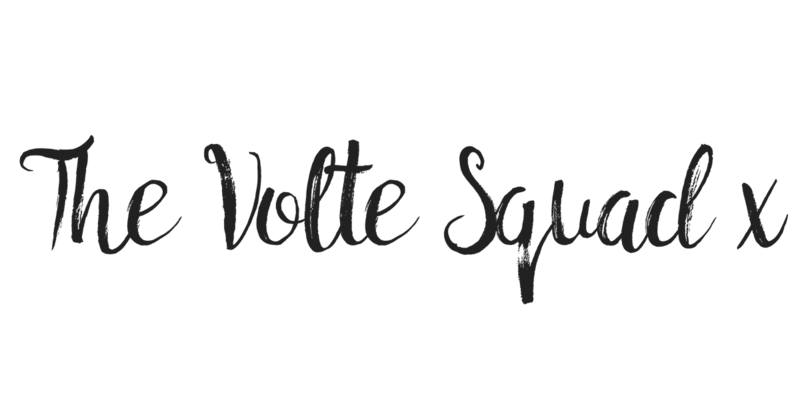 So ladies and gents, reducing your carbon footprint is not as difficult as you may think – and when it comes to fashion is not all glamour, lights and dollar signs – The Volte are changing the world – one dress at a time. Join the Volte Cult today.